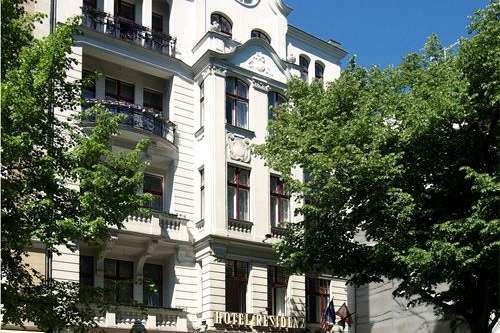 The hotel is a tremendous value in the heart of Berlin. 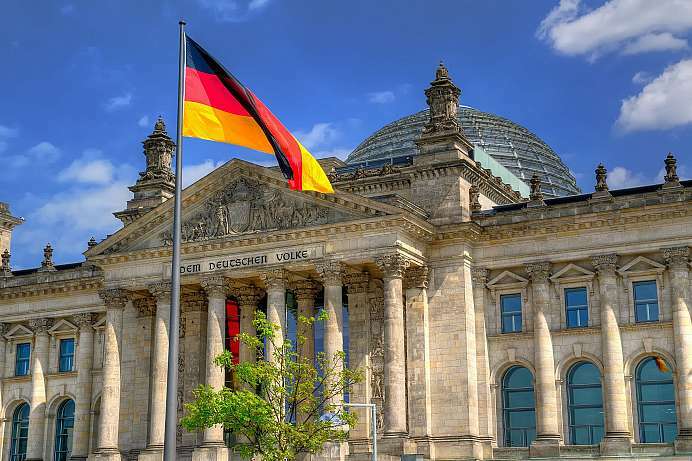 Its location on a quiet, tree-lined street just off the Kurfürstendamm couldn't be better. The five-story building, built around 1900 as a private residence, has a nostalgic, old-fashioned look with ornate designs on its cream-coloured facade, tall windows, romantic balconies edged with flowerboxes, and a large tree shading the entrance. You step inside to a hallway with a black-and-white marble floor, mirrored walls, and a vaulted ceiling. The rooms are spacious and nicely furnished in a traditional style with dark wooden furniture, pastel-coloured fabrics and lace curtains. Many of the rooms face onto the quiet courtyard. 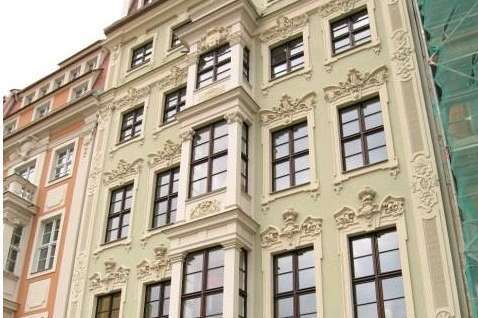 Behind its impressive Baroque façade this small luxury hotel is an elegant retreat in the heart of the city. It offers a gourmet restaurant, impeccable service and a stunning spa overlooking the rooftops of Dresden. Reminiscent of a 19th century palace, the décor is distinctly regal. 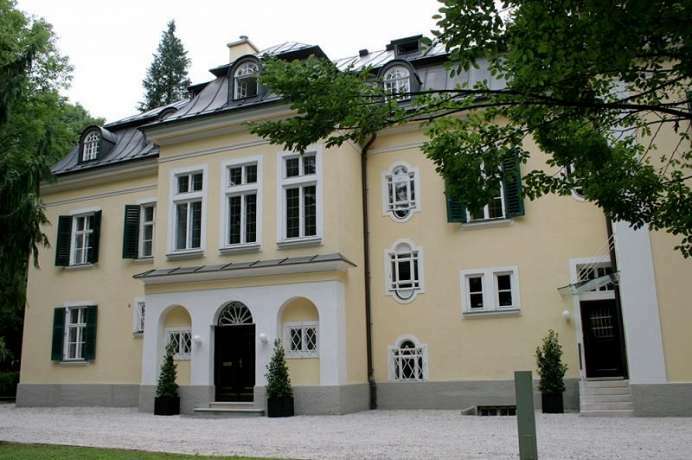 The comfortable Biedermeier-style bedrooms and suites are furnished with classical furniture. 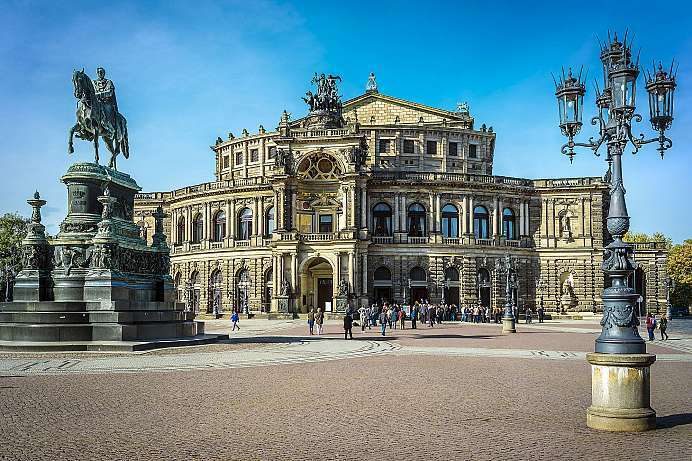 The city centre is at your doorstep: the Residenzschloss, the Saxon State Opera and the new market (Neumarkt) are all within easy walking distance. After a busy day of sightseeing, guests can treat themselves to a gourmet dinner on the restaurant terrace with breathtaking views of the famous Church of Our Lady. 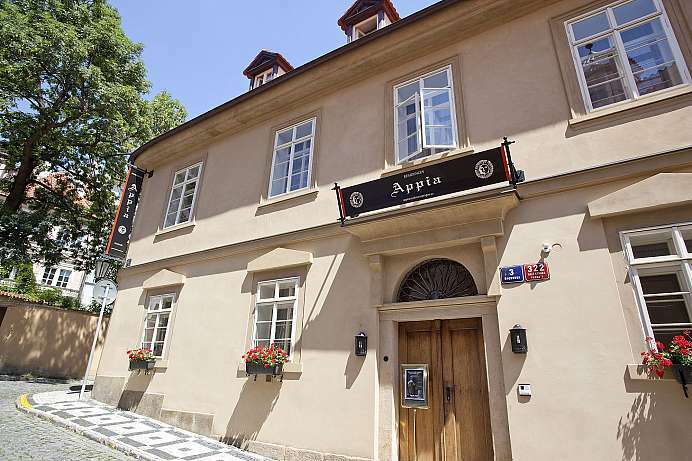 This historical residence stands next to the US and German embassies on a hill below Prague Castle and is only a five-minute walk from Charles Bridge. Having been recently restored, the bedrooms and suites offer the best of Prague's past combined with contemporary comfort. 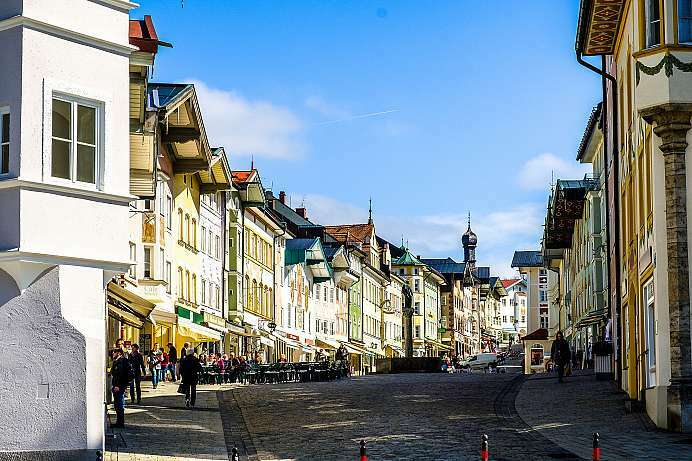 Largely devoid of big city bustle and traffic, this peaceful part of town creates a welcoming atmosphere for both short and extended stays. A private garden and underground parking garage complement the high standard of service. All 21 suites are stylishly furnished with parquet floors, kitchenettes and marble bathrooms. The romantic castle near Ceske Budejovice is probably the most visited monument in South Bohemia. 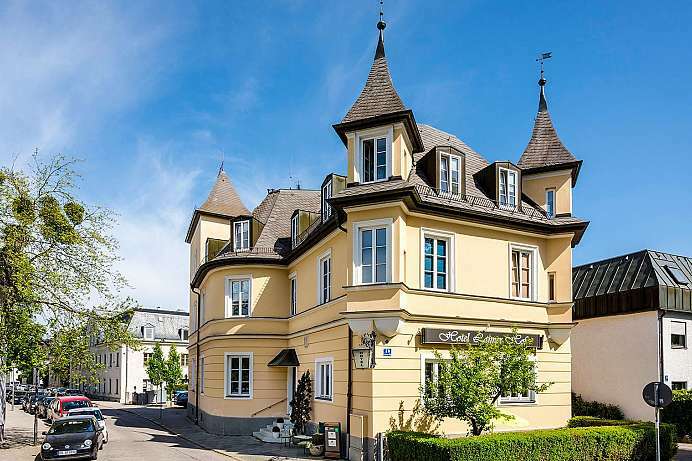 Originally a royal castle from the 13th century, the residence of the Princes of Schwarzenberg was often rebuilt – the last time from 1845 to 1871, when it received its magnificent neo-gothic face. The lock chambers and richly decorated rooms can be visited, but also the armory or the adjacent South Bohemian Aleš Mikoláš-gallery (Alšova Bohemian Gallery). A stroll through the large park in English style is also very nice. Meals are served on the popular garden terrace above the river. The individually decorated rooms are complemented by elegant lounges with period furniture. 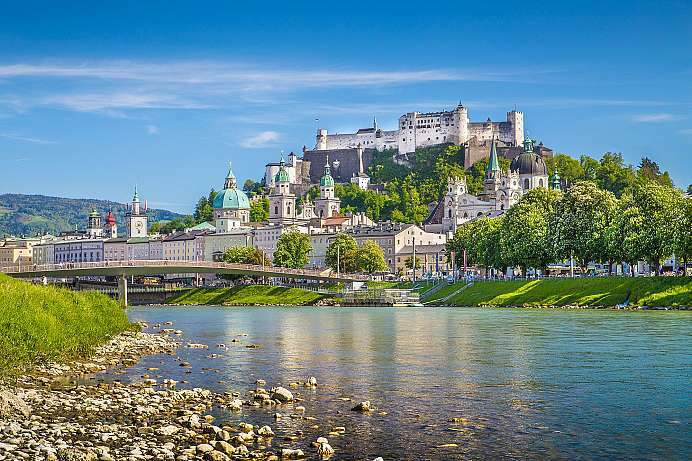 Among many other activities, guests can take a dip in the indoor or outdoor swimming pools, enjoy a sauna or steam bath, walk up to the medieval castle ruins above the picturesque town of Dürnstein, stroll along the river or among the vineyards, or take day trips to nearby Vienna. 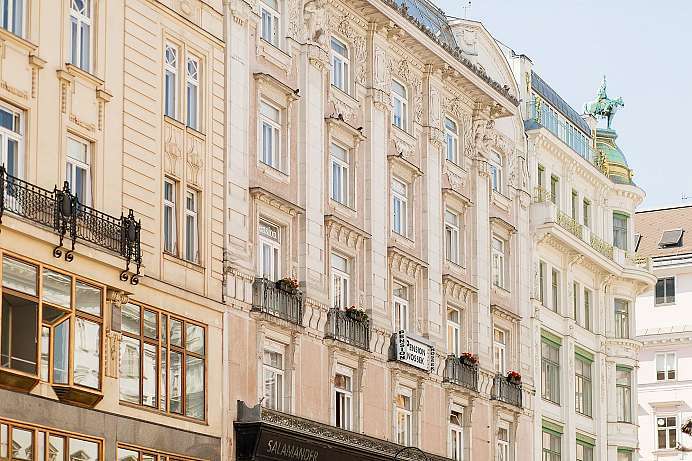 The historical guesthouse is located in the pedestrian shopping area, just a two-minute walk from St. Stephan's Cathedral in the very heart of Vienna. The family-run B&B has 30 rooms featuring antique furnishings, high stucco ceilings and simple but adequate ensuite bathrooms. An abundant breakfast buffet awaits guests in the morning. The staff are all true local Viennese. Reasonably priced public parking is available nearby. 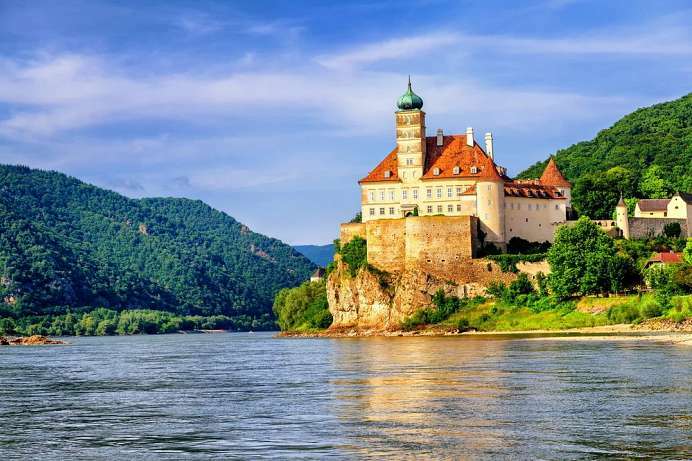 The city on the Danube, which is situated at the crossroads of the transport routes from the Baltic to the Adriatic and from southern Germany to the Great Hungarian Plain, is much more than the capital of Austria. For many centuries Vienna was the center of a powerful empire covering much of southeast Europe, the seat of the powerful Habsburg Monarchy which ruled from the Middle Ages to the fall of the Austro-Hungarian Empire in 1918.The city's illustrious past is reflected in its stately palaces and other majestic landmarks along the ring surrounding the old town, such as the Staatsoper (state opera) and the ducal Hofburg. 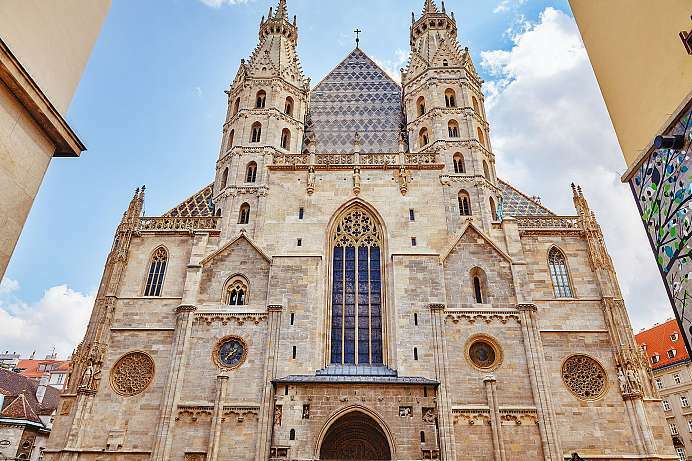 Today Vienna, former capital of the former multinational state, is a modern, cosmopolitan city with a touch of nostalgia for the glorious days of old. It is still the mecca of classical music with the world's largest music conservatory, the most famous concert halls with countless music events each year. 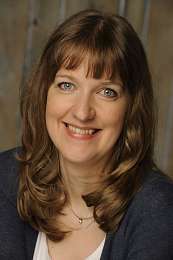 She will take you on an informative, entertaining 1 1/2-hour walk through the history-laden streets of the Old Town, the former centre of the Habsburg dynasty and the powerful capital of the Austro-Hungarian Empire. 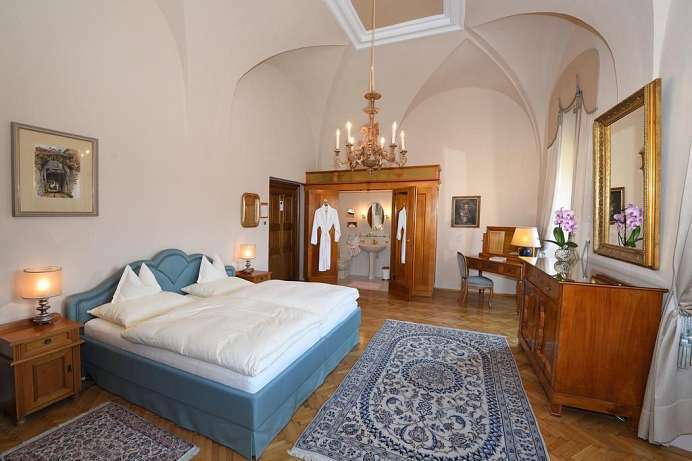 Key stops include the Hofburg Imperial Palace, the Kohlmarkt (Vienna's elegant shopping avenue), the Spanish Riding School and, of course, St. Stephan's Cathedral in the heart of the city. The tour can be modified to accommodate your special interests. 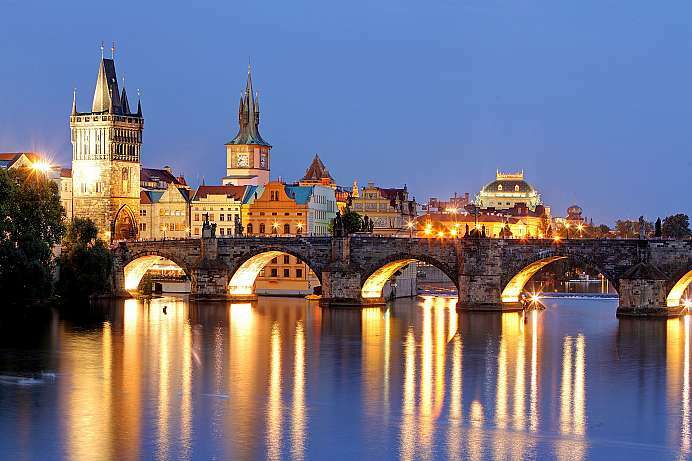 Unless otherwise arranged, you will be picked up at your hotel at 10 a.m.
We will inform Sunny Cars that your trip goes through the Czech Republic. Any fees which might incurre are payable directly at the location when hiring the car.